If your vehicle has been ticketed by VUPD Parking Services and would like to inquire about payment of the citation or an appeal, please visit the Citations page. If you vehicle has been towed on Vanderbilt property, please see the VUPD Parking Services Relocation & Tow Policies page. 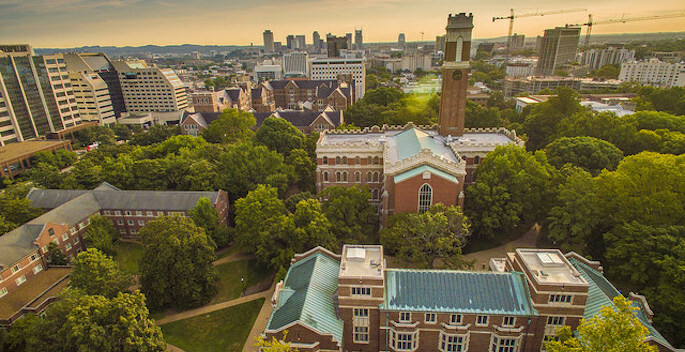 All Vanderbilt University parking information at Parking Services. VUPD should always be called if an auto accident occurs on campus or the streets running through campus. The number to VUPD Communications is (615) 322-2745 (2-2745 from a campus extension). Dial 911 for accidents involving injuries. If the accident involves serious injuries, Metro Police Traffic Investigators will be called to assist in the investigation of the accident. VUPD Communications Officers have direct contact with Medcom, Nashville Fire Department, and Metro Police to request response if necessary. Vanderbilt University Police Officers will respond and complete a report of the accident. Tennessee Law requires that property damage accidents that result in damage over $50.00 be reported to the Police in the quickest manner possible. Tennessee law requires a report to be filed if damage to any vehicle exceeds $400.00. Vehicles involved in an accident should stop and remain at the scene without obstructing traffic more than is necessary. All accident reports completed by VUPD officers are forwarded to Metropolitan Police Nashville Department. Copies of accident reports can be obtained here. Tennessee law requires that all drivers and front seat passengers be properly restrained with a seat belt when the vehicle is in operation. If the theft is in progress call 911 (from a cell phone call (615) 421-1911 to reach VUPD 911). The Communications Officer will obtain brief information such as your name, address and a phone number where you can be reached. When you call VUPD, an officer will be sent to meet with you to take a report. Calls for service are generally dispatched to an officer as they are received; however calls are prioritized by the urgency of the situation. Because of this prioritization, on rare occasions you may have to wait several minutes for an officer to be available to take your report. Once a report has been completed, it is forwarded downtown to Metropolitan Nashville Police Department Records. If you need a copy of this report for insurance purposes, contact MNPD Records. Even though you think your stolen property may never be recovered, it just might! VUPD detectives work closely with MNPD and local pawn shops and do in fact recover items which have been stolen from campus. If a report is never made, we do not know to whom to return the property. VUPD tracks the locations of incidents of crime on campus and the medical center and targets those areas for preventive patrols by officers. When we know that a crime has occurred in a particular area, we work hard to ensure that the opportunity to commit a crime in that area is reduced. By reporting incidents of crime and suspicious persons, you help us to concentrate our resources in a manner which will prevent future criminal acts and keep our campus safe. Vanderbilt University policy prohibits guns on campus and in the medical center unless they are carried by police officers. 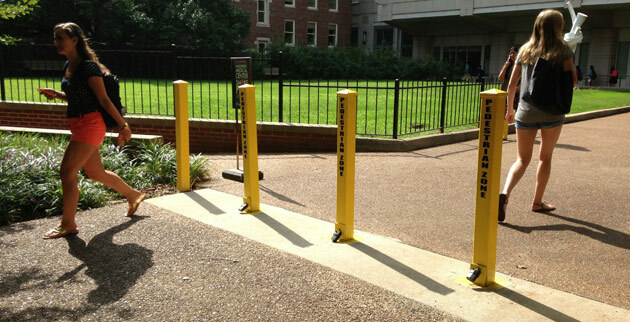 VUPD provides a secure “safe keeping” area for weapons which are brought to campus for “sporting purposes”. This safe keeping service is provided for residential students. The person responsible for the weapon should bring the weapon to Vanderbilt University Police Department, which is located at 111 28th Avenue South. The weapon(s) should be transported by car to this office as soon as it is brought to campus (Please don’t walk down the sidewalk with your rifle or shotgun as this may tend to alarm some). The weapon should be unloaded prior to arrival at VUPD. You will be asked to fill out safe keeping forms. Only you, or a designated person you list on the safekeeping form, will be allowed to retrieve the weapon. Students are allowed to check-in or retrieve weapons which have been left with VUPD for safekeeping, 24-hours a day. When retrieving a weapon an appointment must be made during business hours to schedule drop-off or pick-up. Officers are unable to retrieve your weapon after hours unless an appointment is made. Call VUPD at (615) 322-2745 for information or to make an appointment. Students may check in more than one weapon and the weapon(s) may be checked in and out, as many times as necessary. Please click here for more information.